Finally, Nokia launched its first Android smartphone, called the Nokia 6. 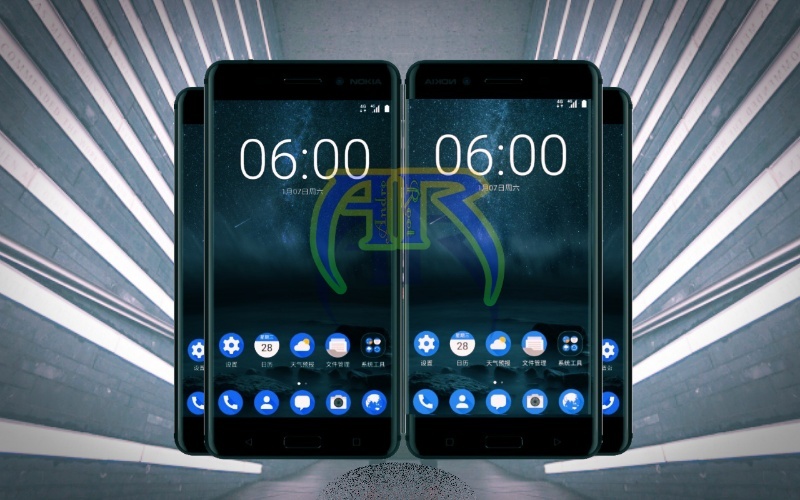 The Smartphone Nokia 6 is pretty nicely designed, and its looks indicate us what to expect from Nokia phones in future, there should be some impressive models on the ways. 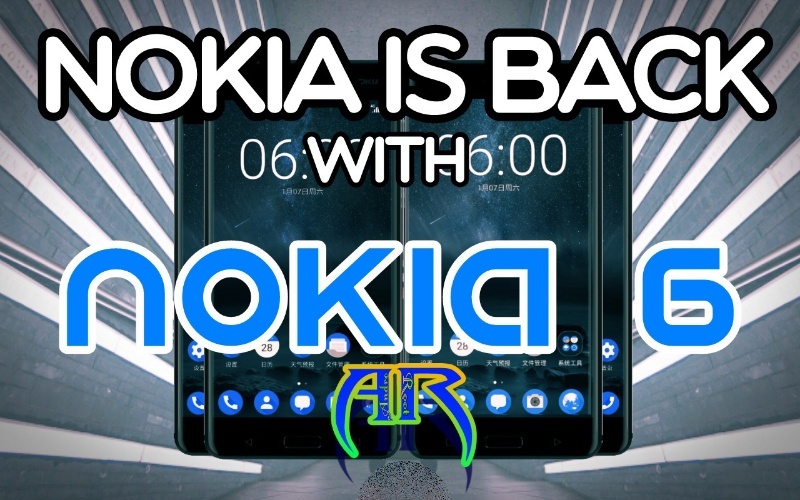 The launch marks the first new smartphone carrying the iconic handset name since 2014 when Nokia Ovi chose to sell its entire unit to Microsoft. A true Nokia phone hallmarks leads design and materials, an obsessive focus on the latest technology and solving real-life issues, we believe Nokia has a unique proposition in consumer heart. The company has a long way to go if it ever wants to be back on top, but we’re excited to see it try. So, Now in this article today we will see and talk about what does the Nokia 6 have offered? Well, as we know everything has good news and bad news too. The good news is that the device Nokia 6 is running the “latest version of Android,” which is currently Android 7.1, and it has a unibody design that’s “milled out of a single piece of aluminum,” and offers a nice-looking 5.5-inch display with HD resolution. It also comes with a flagship-tier 4GB of RAM, and plenty of room for all your files, thanks to 64GB of storage. The device features a 16MP rear-facing shooter coupled with an 8MP front-facing camera. You get all of that for a low price of only $245. And it’s time for bad news— the device has a somewhat low-powered Qualcomm Snapdragon 430 processor, and a USB 2.0 port — which isn’t what we would expect in 2017. It’s also only available in China till now. The Nokia 6 will become available in China on January 19 at 10 AM through JD.com, the country’s biggest online retailer. The Nokia 6’s price is CNY 1,699, which is around $245 or €231 or Approximately Rs. 17000 right now.That’s right, if you were looking forward to being able to buy a Nokia-branded phone again but don’t live in China, you’re going to have to wait a little longer. The Nokia 6 will be going on sale in just Black color. But A Nokia 6 Silver color variant was also spotted on Net. The Android Nougat 7.0 smartphone was earlier expected to launch at the Mobile World Congress Event in February. The Nokia 6 will come with Android Nougat, which will make it up to speed with Android devices such as the Samsung Galaxy S7. This is a huge improvement in comparison to Nokia’s first attempt at Android — the Nokia X, which failed miserably. The Nokia 6 comes with a 5.5-inch full HD display. While the market is currently enthused by 2K and 4K smartphone displays, a full HD display is the basic standard for a mid-range smartphone display. Given the price, a full HD display protected by 2.5D Gorilla Glass seems justified. The company claims that the device will have good sunlight readability as it has used a polarizer layer in the display stack. For its price, the device’s 64GB internal storage and 4GB RAM seems to the point. Since its display will not consume too much RAM, that leaves room for gamers and heavy users to extract performance from the device. =>In terms of memory, the device comes with MicroSD card support in addition to its 64GB internal memory, which seems better in comparison to competing devices of now days. The Nokia 6 comes with a 16-megapixel rear camera with a f/2.0 lens and phase-detection autofocus and an 8-megapixel front cam with a f/2.0 84-degrees wide angle lens. The device comes with dual Dolby Atmos speakers with built-in dual amplifiers. The company claims that Nokia 6’s dual amplifiers will deliver sound that is 6 decibels louder than regular amplifiers. The Nokia 6 encloses a 3,000 mAh non-removable battery. It is still unconfirmed whether the device supports fast charging or not. Sadly, Nokia has skipped the USB Type-C and went the widely used microUSB 2.0 for wired connectivity. The wireless connectivity includes dual-SIM 4G LTE, Wi-Fi a/b/g/n/ac, Bluetooth 4.2, and GPS. The Nokia 6 was announced on the HMD website and based on its features and its Price is 1,699 yuan (around $245 and Rs. 17000) , seems a mid-range smartphone.The Nokia 6 will be going on sale in just Black color. But A Nokia 6 Silver color variant was also spotted. Finally, as we know that Nokia 6 is One of most powerful upcoming android Smartphone From Nokia. So we are more excited to buy and use it as soon as possible.Without wasting of your time I want to say you that Nokia 6 will launch in India on the date of 31st May 2017. So keep patience on your excitement, we will meet Nokia 6 soon in India.Just share your view and Expectation from their future Products with our Comment section and don’t forget to share our post with Your Friends.